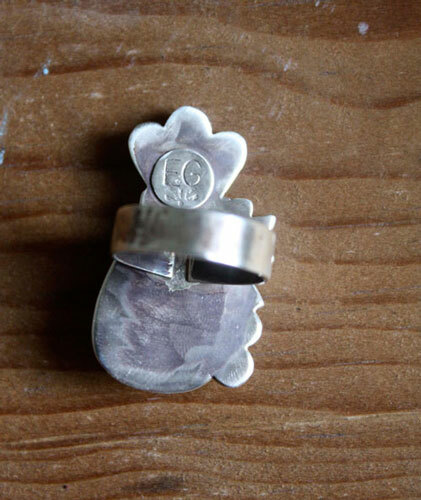 This ring is made of small details that I soldered on a sterling silver sheet with floral and vegetal patterns. 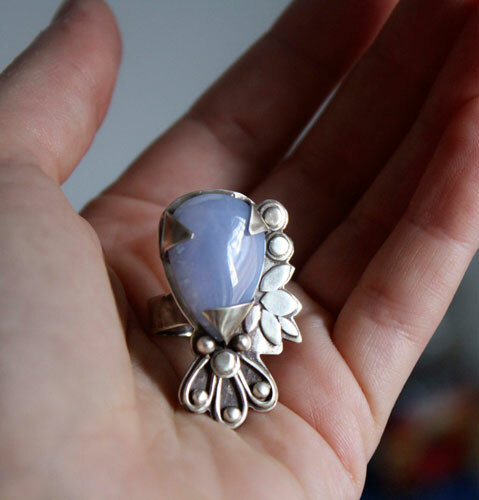 I set a beautiful lavender blue chalcedony. This beautiful cabochon is enhanced by the patina I applied on it. "Huma" means Bird of Paradise in Hindi language. 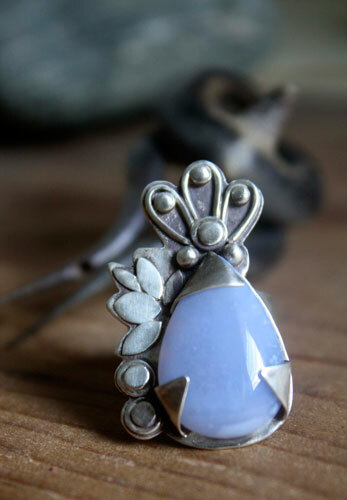 The colors of this blue lavender chalcedony remind me this paradise bird. A touch of color in this lush vegetation that form this ring. 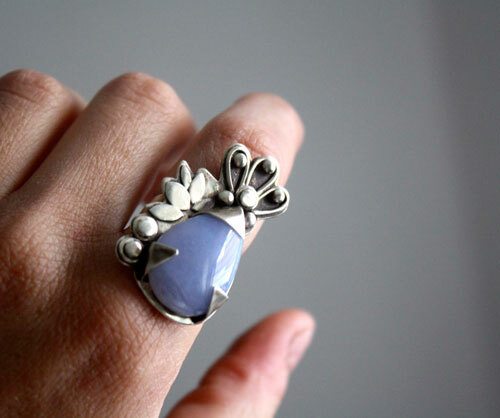 This ring is really one of a kind. The ring is a large 7 1/2 US size. The surface is 3.5 x 2.25 cm. 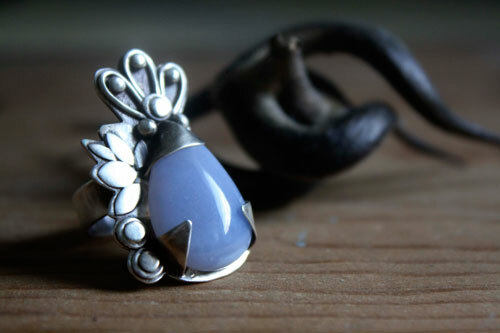 Tag: ring, oval, sterlinf silver, 925, unique, cabochon, chalcedony, purple, lavender, romantic, pastel, flora, vegetal, valentine gift, Mother’s Day, birthday, long, bird, paradise, wildlife.